We’ve all been there: binge-watching Stranger Things when we hear a frightening noise. No, not the Demogorgon, I’m talking about a grumbling stomach. But who wants the hassle of picking up your iPhone to place an order? You’ve already got the Apple TV remote resting in your clammy, barely-clasping hand. And averting your slack-jawed gaze away from the screen is too much work! 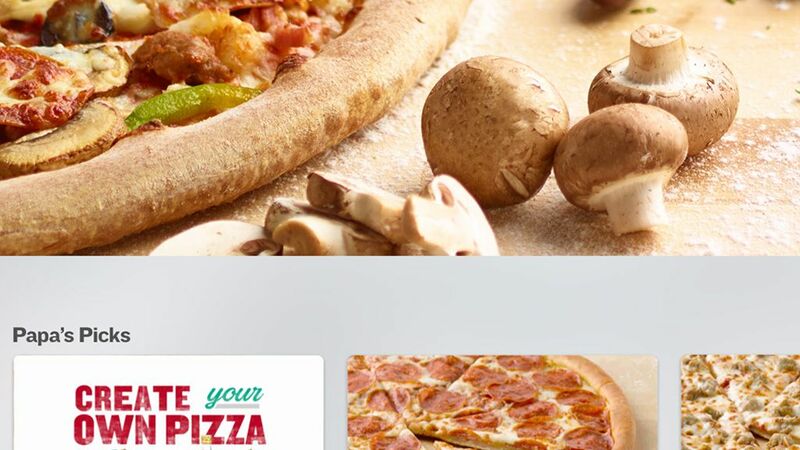 Thankfully, Papa John’s has you covered with their latest pizza ordering technology—an Apple TV app. Released today, August 30th, the new app will allow users to customize and order a pizza right from their television. Past and favorite orders will be saved for easy reordering so, cool, you don’t even have to think about which toppings you want! The entire Papa John’s menu will be available, including a new Monkey Bread dessert (but be warned, it does require pulling bits of bread apart which might not appeal to your atrophied muscles). Papa John’s is promoting the app as a “fun, conversational way to feed your cravings,” thus reigniting the age-old fight for who gets control of the remote. Okay, all snark aside it’s a big step for turning our TVs into full-service entertainment hubs. And if actually are a fan of Papa John’s pizza, you’ll want to start using the app right away. Apple TV customers get an automatic 25% off discount. Hey, if you’re going to cheap out on pizza you might as well get it cheap.